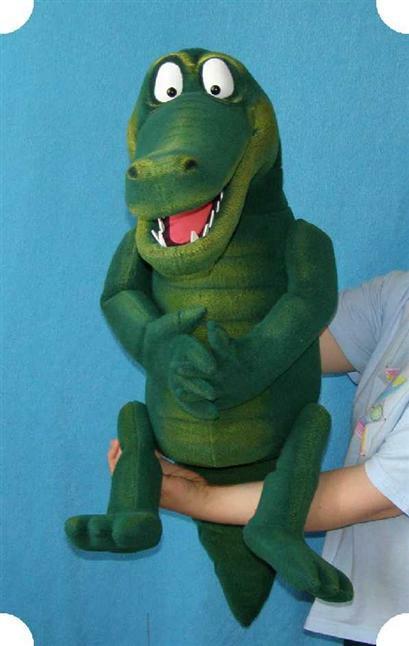 The crocodile foam ventriloquist puppet for sale, is made of modified foam rubber and covered with fleece fabric. The ventriloquist Dummy doll has a movable mouth and convenient grip control of mouth movements. The head turns 360 degrees. The soft Dummies doll is a professionally muppet puppets for ventriloquists. Clothes are removable and may vary. It can easily be used for talking puppet show, performances by professional puppeteers, amateurs and children as well. A beautiful and original gift, a designer’s work made by hand! The ventriloquist figure dummy puppet doll will be made to order and sent to you 3 weeks after payment. Have you ever watched Discovery channel or the program Croc files that depicts the crocodiles living in the wild? Or maybe you are familiar with this green reptile with extremely sharp teeth from a zoo. 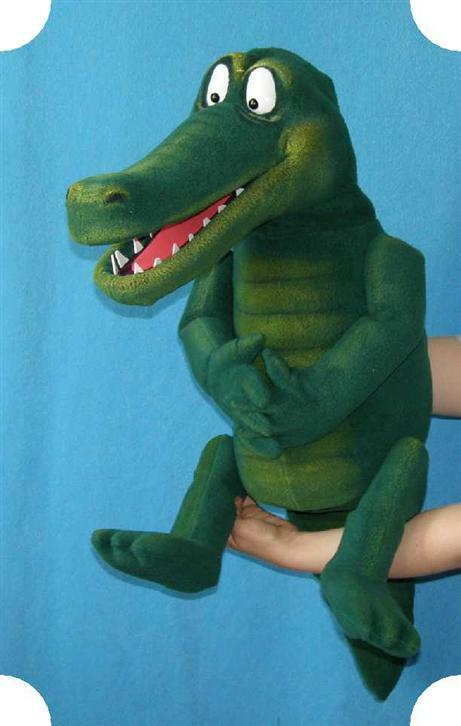 Nevertheless, our crocodile puppet is nothing like that image of a coldblooded monster you have in your head. The puppet doll is 38 inches large and can be controlled using a comfortable grip to make the character move. This is the nicest and cutest crocodile you would ever see. His soft features and happy muzzle depict him as a positive character rather than a terrifying carnivore. 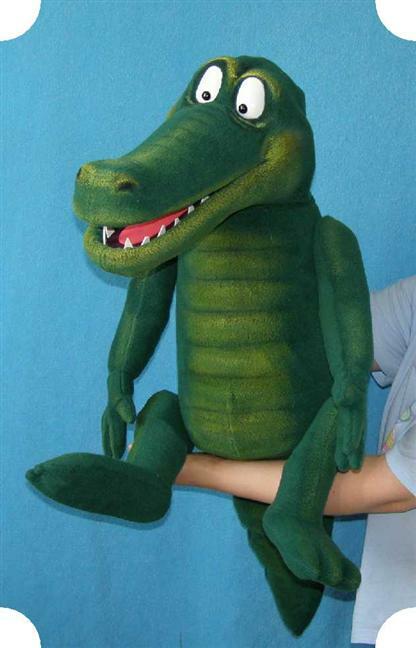 Its’ soft woolen material and a nice smile make it the greatest puppet character add on to your puppet selection.